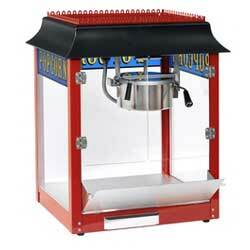 Popcorn Poppers are a great add on for any Backyard Party, School Festival, Employee Appreciation Day or Grand Openings. Our Popcorn Poppers are Commercial grade and are tested before delivery or picked up, Popcorn Poppers come with 50 1oz bags and a Popcorn Scoop. Phoenix, Peoria, Scottsdale, El Mirage, Glendale, Young Town, Surprise, Waddell, Laveen, Avondale, Laveen, Vistancia, Chandler, Mesa, Gilbert, Cave Creek, Queen Creek, Apache Junction, West Valley, North Phoenix, Maricopa, Pinal County, Wickenburg, Fountain Hills. Here at Jumpers World AZ we have tried to offer you everything for all your Party needs from theme Bounce Houses, Obstacle Course, Bungee Runs, Boxing Rings and for Table and Chair Rentals for Wedding Engagement Party Bridal Shower, Bar Mitzvah and Bat Mitzvah, Fundraiser or Charity, Graduation Party, Company Picnic, Office Party, Retirement Party, Corporate Party, Family Re-union or a Backyard Party.